Leigh Bonsall is a litigator who focuses her practice on commercial, professional liability and labor and employment litigation. She has experience defending legal malpractice, breach of contract, trade secret and business tort claims, as well as claims arising out of the Biometric Information Privacy Act (BIPA). Additionally, Leigh has defended employers at the federal, state and administrative levels against claims involving harassment, discrimination and retaliation. Leigh has also briefed and argued cases before the U.S. Court of Appeals for the Seventh Circuit and the Illinois Appellate Court. 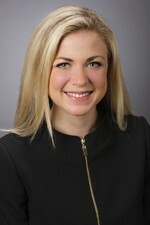 Leigh joined Hinshaw as an associate in September 2010. Previously she was a law clerk with the firm. Leigh is the author of a moot court brief, "2008 to 2009 National Health Law Moot Court Competition: Best Brief," which was published in Journal of Legal Medicine, 30 J.Legal Med. 467.